Soges Mid Back Mesh Chair Adjustable Mesh Chair for Computer/ Office Task Chair Swivel Chair with BIFMA Certification, Z08-MB by soges at Momiji Studios. MPN: Z08-MB. Hurry! Limited time offer. Offer valid only while supplies last. 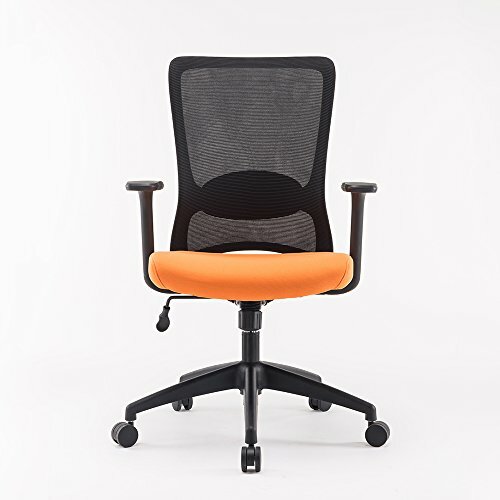 Ergonomic mid-back home/ office chair of imported mesh , ideal seat of choice for working, studying and office routine. Seat size: 18.9"(W) x 20.9"(D) x 26.4"(H); Adjustable seat height: 17.5" ~ 21.5". Maximum weight capacity: 300 lbs. Adjustable backrest helps better support back and release users waist stress.Largest angle adjustment backward within 117°. Easier to operate with humanization controller.